The path to becoming a nurse may take several turns based upon the route and specialization you choose. Nurses provide dynamic care to patients that range from roles in anesthesiology, obstetrics, geriatrics, and many other areas. Depending on your nursing goals, your education may span a few years or it may take more than a half-decade to complete. Before you can enter nursing school, you must obtain a high school diploma or General Equivalency Diploma (GED). Extra classes in math and science may help you get a head start before entering college. Taking extra science classes may also help you decide whether you have the aptitude for work in healthcare. You may wish to meet with current nurses or school advisors to discuss your plans and receive guidance on the best classes to take before college. You can request free program information from any of the schools you see on our site if you want to know more about what is required in selected nursing programs. As a future nurse, you must choose a nursing school and submit applications. Generally, you’ll have access to five paths to becoming a nurse, and your goals will influence your choice of education. For example, you may choose to obtain an Associate of Science Degree in Nursing (ASN/ADN) from a community college. This degree takes around two years to complete, and you’ll be qualified to take the National Council Licensure Examination (NCLEX-RN) at the conclusion of your studies. Another route to pursue is a Bachelor of Science in Nursing (BSN). A bachelor’s degree in nursing requires four years of study at the university level, and will also qualify you to take the NCLEX-RN exam. If you choose, you may continue after undergraduate school by applying to graduate school to pursue a Master of Science in Nursing (MSN). This degree requires a further two years of study at college and prepares you to go on to obtain a Ph.D. if you choose. If you don’t wish to apply directly to university, there are two additional options that include training through a hospital or joining the military. You may earn a Nursing Diploma by working your way through your studies at a hospital. Most programs require that you take classes at a local college while you work at the hospital. Similarly, you may join the military and train to become a nurse through their ROTC nursing program. This program may take anywhere from two to four years to complete, and your studies will take place at a school near your military base. 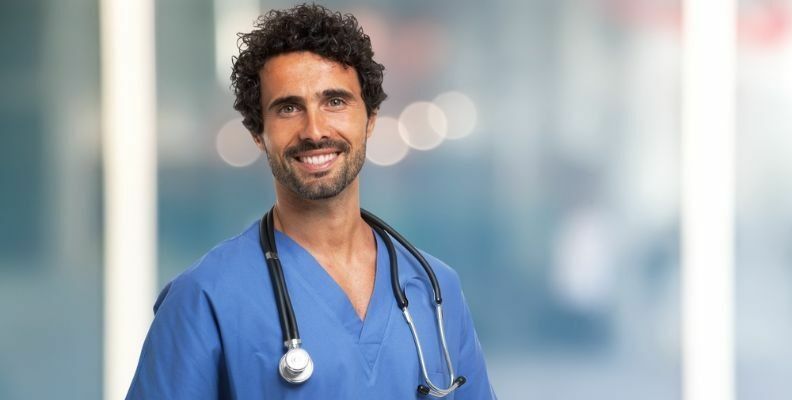 To practice as a Registered Nurse, which is a common goal of many nursing students, you will need to pass the National Council Licensure Examination for Registered Nurses (NCLEX-RN). Fortunately, many accredited nursing programs tailor their curriculum to ensure you are well prepared for this licensing exam. It’s important to work with your college advisors to make sure you’re qualified to take the exam after you earn your diploma. Your final assignment in becoming a nurse will be getting a job. If you choose a path with the military, you may not need to find employment until your service contract is up and you enter civilian life. If you choose to train through a hospital, you may already have a job waiting for you once you finish school and pass the licensing exam. If you graduate from community college or university, you may have some interviews and job applications to conquer. The Bureau of Labor Statistics (BLS) expects the economy to add more than 500,000 nursing jobs in the United States in the next decade, so you may be able to apply for employment virtually anywhere in the country once your training is complete and you pass the NCLEX-RN. The first step to becoming a nurse is finding the best nursing school in your area of interest. Contact the schools you see on our site to learn more about your options. And remember, an educated nurse is the most powerful member of any healthcare team.